Looking for an incredible location for your perfect beach destination wedding? 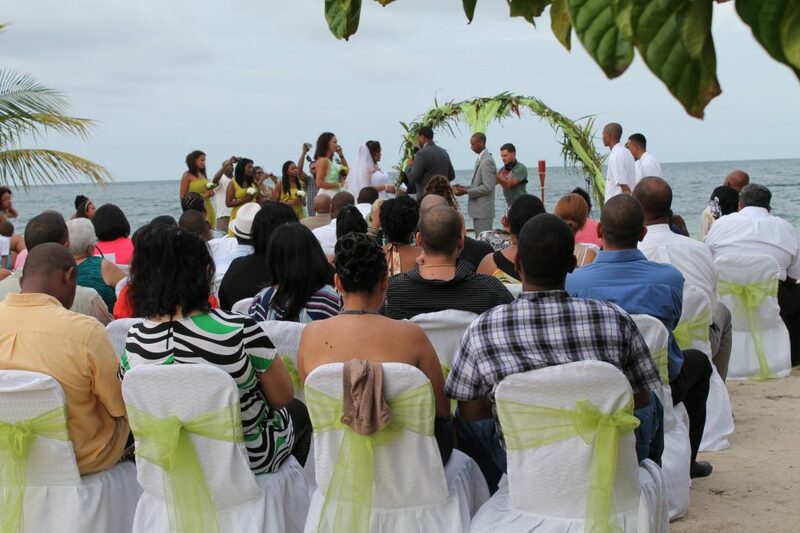 Our white sand beach is a fabulous setting for a romantic and intimate wedding. 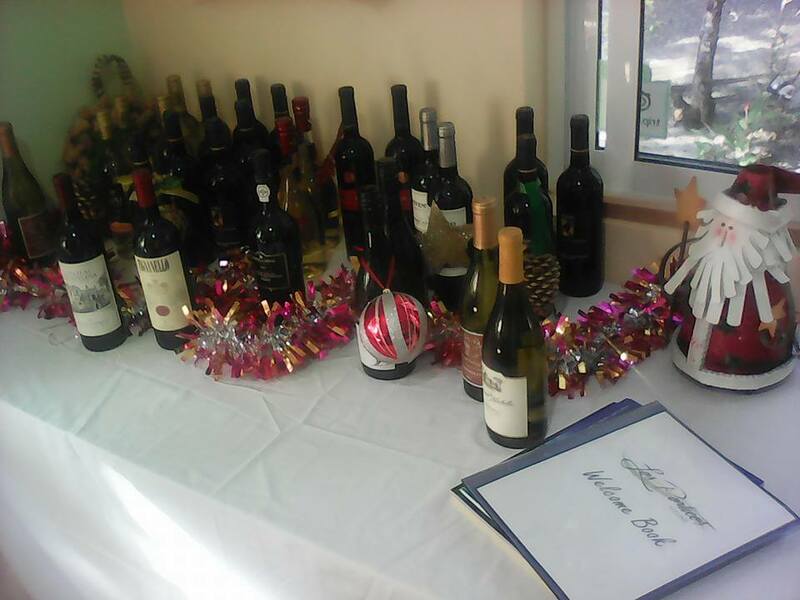 Invite your friends and family for a long weekend and ask about our group rates for your wedding party. 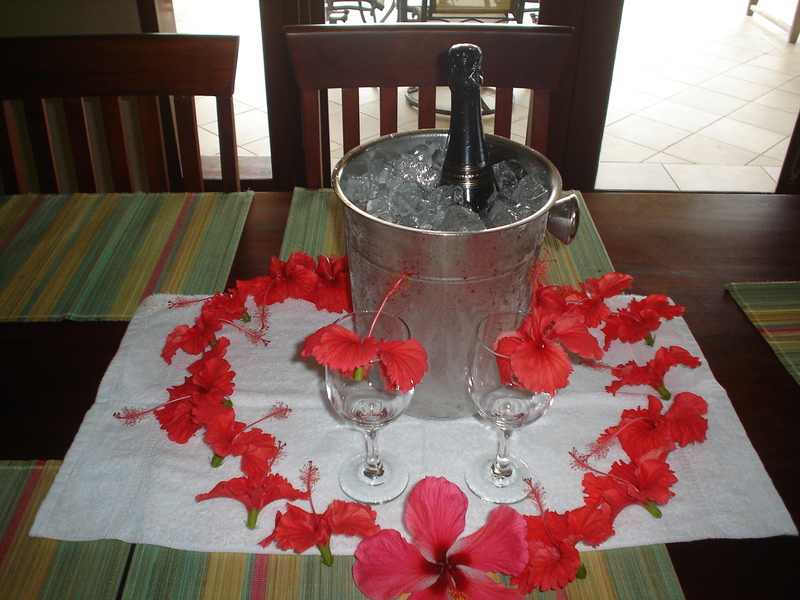 Los Porticos Villas offers full wedding planning services and the staff can arrange for everything from the minister, to cake and champagne, to flowers, to tents and catering, to expediting all of the necessary paperwork for a legal wedding in the country of Belize. 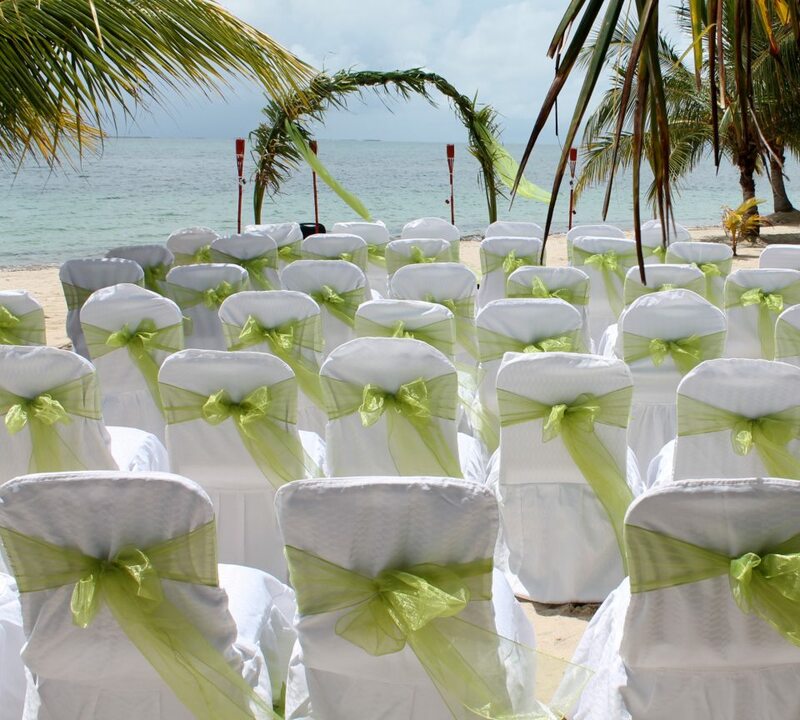 Getting married in Belize is an easy process and the marriage is legally recognized internationally. The possibilities are endless…. 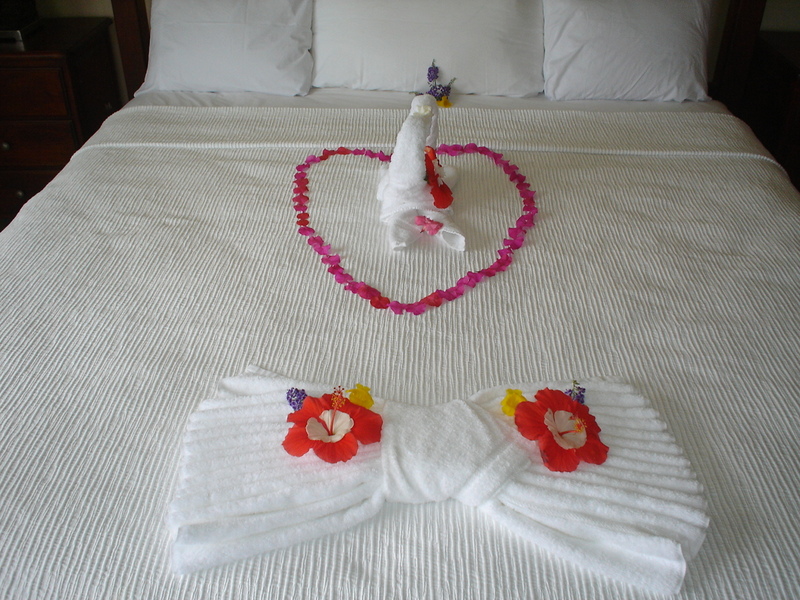 Let your love bloom and blossom like the tropical flowers in our beautiful landscaped gardens. And let Los Porticos staff assist in making your special day one to remember forever. Application for a Special License must be signed by both parties, verified by an affidavit, and accompanied by the applicants’ identity documents (i.e. certified copies of passports, birth certificates, etc.). Applications can be expedited through the wedding coordinator. There are no residency requirements or blood test requirements. Applications can be obtained through the wedding planner or directly from the Belize General Registry, Supreme Court Building, Belize City. Tel. 011-501-227-7377. Required documents can either be original or certified copies. Divorced persons must present original or certified copies of their divorce certificates. If you are widowed, a copy of your spouses’s death certificate needs to be submitted. A fee of $250.00 USD must accompany the application. You will need two witnesses, and these can be staff. Please do not hesitate to contact us for further information and start planning the Caribbean wedding of your dreams here at Los Porticos!